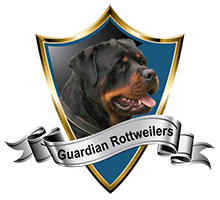 For sale is Amber a beautiful 2 year old spayed female from Guardian Rottweilers $700. 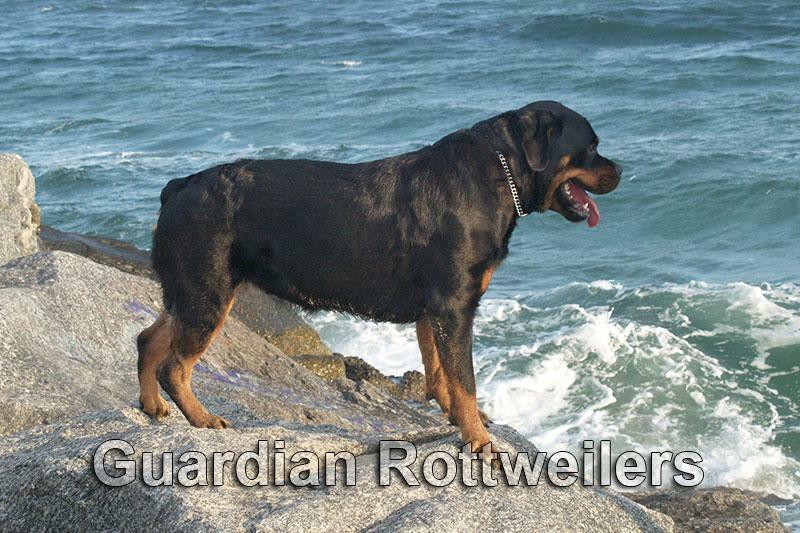 Amber is by Aron von Verschez Berg and Guardian Rottweilers Maye. 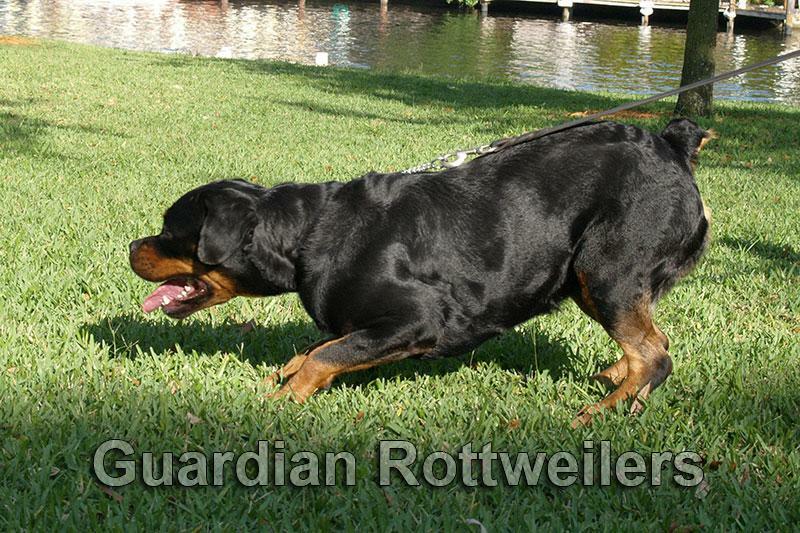 She is AKC registered and micro-chipped. 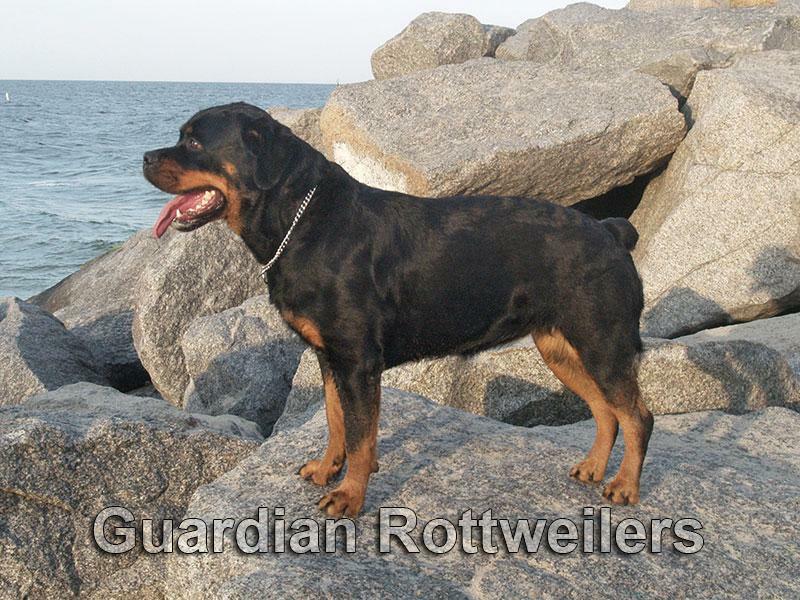 Amber is a large female at 90lb lean weight and 24″ tall at the withers. She is active and loves to be taken out for walks. Amber is well socialized, house trained and obedience trained on and off leash. She is friendly with people in public, but alerts when strangers approach her home.